Creamy, but without any cream. 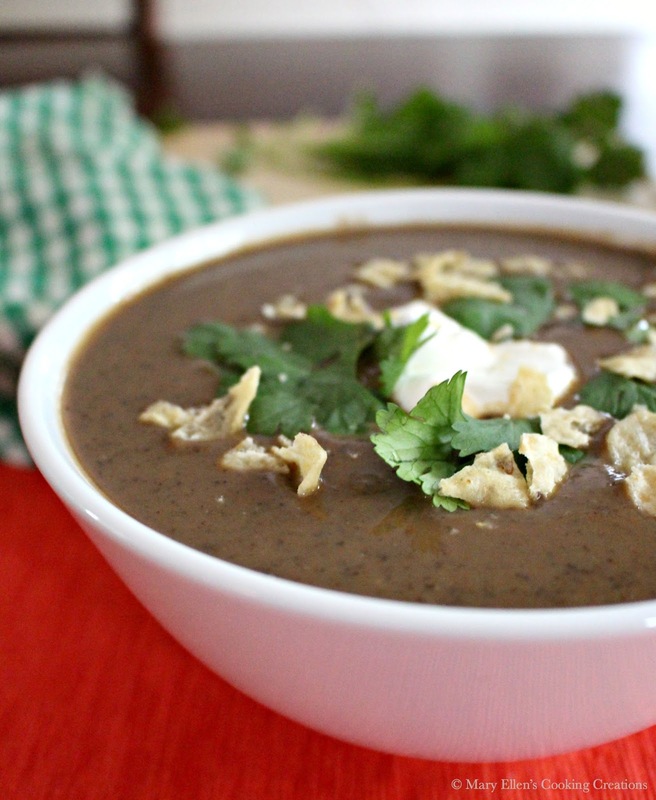 The beans puree so beautifully that they become silky and creamy, giving this soup the appearance and taste of being a cream soup, but with all the health benefits of beans and veggies! I kept this recipe simple, starting with sautéing onions, garlic, carrots, celery, and peppers. 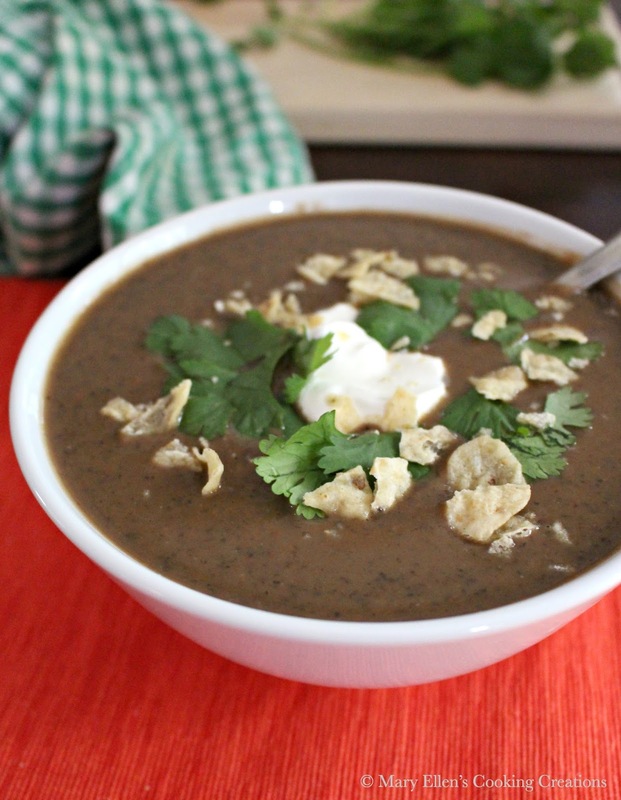 I then added the black beans, spices, and broth. Once it cooked for a bit, I pureed everything into a smooth soup. Adjust a few of the spices and you are done. 20-25 minutes from start to finish. As I always do, once the soup cooled I ladled it into 4 containers for lunches for the week. When I warmed it up the next day and sat at my desk to eat it, I was in heaven - this soup was SO good. Smooth, hearty, and with it a bit of a kick. And while it was a completely vegetarian soup, it had a slight flavor of smokiness from the cumin - you could totally be tricked into thinking this soup started with bacon. This is my go-to soup whenever I need something healthy, filling, and quick. 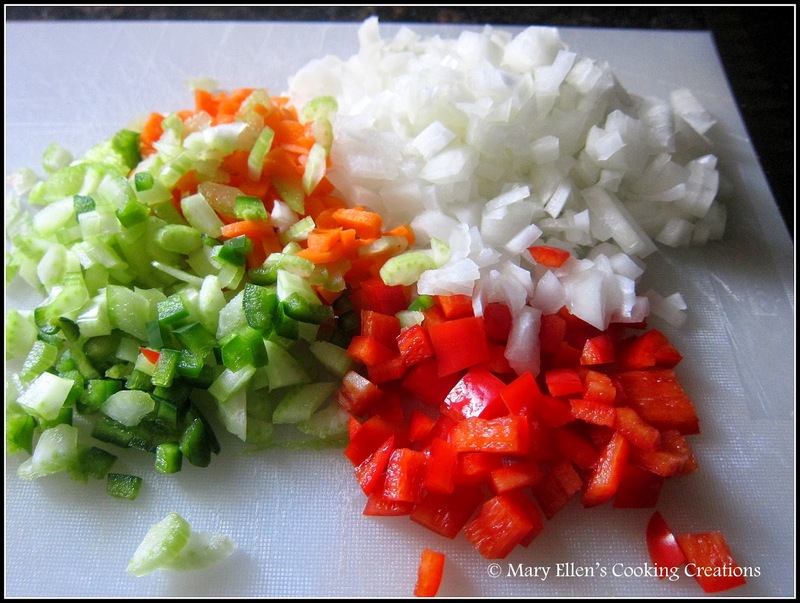 Add the carrots, celery, garlic, red pepper, and jalapeno. Saute 3-4 minutes, until veggies are slightly tender. Add the black beans, cumin, chili powder, cayenne pepper, and salt; stir. Add the broth and bring to a simmer. Lower heat and let simmer for 15 minutes. Remove from the heat and puree. I use my handheld immersion blender, but you could also puree it in batches in a blender. Serve topped with cilantro, sour cream and crushed tortilla chips. Yum! 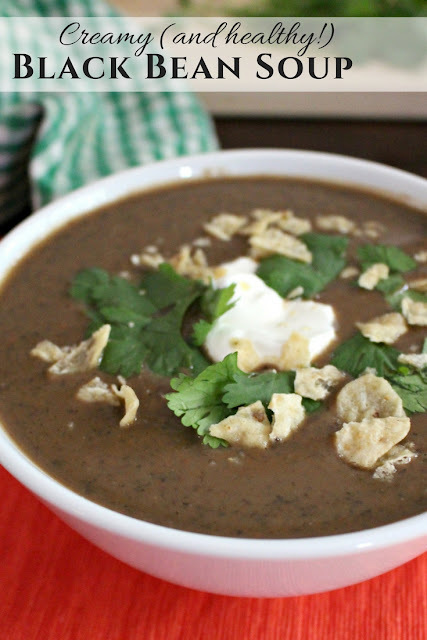 I love black bean soup. Looks great.